The Game Awards, which take place in the US city of Los Angeles this year, is already one of the premier awards ceremonies of the video game world. Produced by Canadian journalist Geoff Keighley, the ceremony will honour the top video games of the year, and will feature heavyweight games like CD Projekt’s medieval fantasy role-playing game The Witcher 3: Wild Hunt and Bethesda’s post-apocalyptic masterpiece Fallout 4. And gamers will also get exclusive previews of upcoming games like Ubisoft’s Far Cry: Primal, Quantum Break, and others. 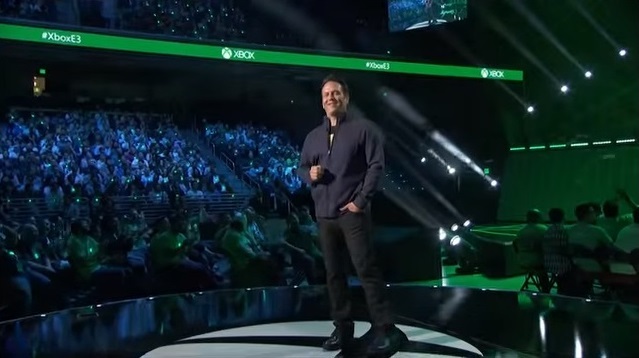 And of course, top personalities of the gaming world will be appearing in this year’s Game Awards, including Microsoft’s top executive Phil Spencer and Star Wars actor Mark Hamill. So without further ado, here follows a list of the top personalities attending the 2015 Game Awards. Actor Mark Hamill is once again in the limelight, as he stars in J.J. Abrams’ Star Wars: The Force Awakens, which will be hitting the theatres on December 18 amidst a wave of expectation. But Hamill is also a renowned personality in the video game world, as he’s done voice work for blockbuster video games like Rocksteady’s Batman Arkham series, in which he played the Joker. He also appeared in Chris Robert’s Wing Commander games back in the 90’s, and will also play a part in the upcoming video game Star Citizen, which is the biggest crowdfunded video game to date. So the Star Wars actor is also something of a video game heavyweight, and clearly fans will be eagerly awaiting his appearance in Los Angeles during this year’s Game Awards ceremony. Canadian-born Jade Raymond is one of the biggest personalities of the video game world, as she is a former director of Ubisoft who created the world-conquering Assassin’s Creed series. And she made headlines last year when she left Ubisoft to work for industry giant Electronic Arts, where she will be heading the Motive studio that is rumoured will be playing a part in developing the upcoming Mass Effect: Andromeda game, as well as a new Star Wars game. And since Raymond has claimed that playing a part in the Star Wars universe “is once-in-a-lifetime stuff”, perhaps she will be delighted to hear that actor Mark Hamill, who played Luke Skywalker in the original Star Wars trilogy as well as in the upcoming The Force Awakens movie, will be attending the Game Awards ceremony this year too, and will be sharing the limelight with fellow actors like Kiefer Sutherland and Conan O’Brien. Just Cause 3 Is Another Buggy PC Launch: Is PC Gaming in Shambles?